Speedball Arena, a futuristic sports game developed for virtual reality, launched today on Oculus Store for 9.99 USD. 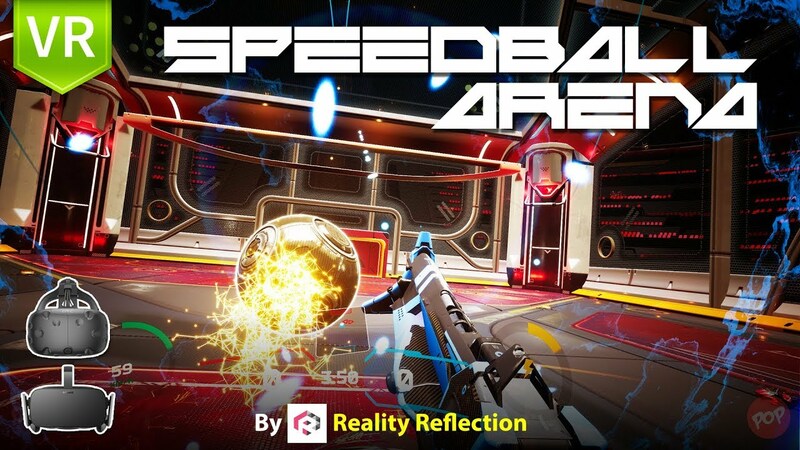 Developed by a South Korea-based indie developers Reality Reflection, Speedball Arena is a multiplayer game where players can be the heroic athlete of the futuristic sports on a lightspeed hoverbike. 2 vs 2 Custom Match: Users can create a custom room to play and chat with friends online. Cross-Platform Play: Speedball Arena enables players to find a teammate and opponents via matchmaking. Every player, regardless of Oculus/Steam/PC user, connects to the same pool for matchmaking. High-Quality Graphics: Built on Unreal Engine 4, Speedball Arena boasts the highest level of graphics to provide users with a fully immersive gaming experience. Intuitive Control: Intuitive control of the hoverbike and the hook gun will let players become quickly absorbed in the virtual world. Supersonic Speed: Hoverbike will allow users to enjoy the thrilling speed that no one has ever experienced before. Users can speed up even more by snatching the hook points floating in the air. “We’re thrilled to launch the latest version of Speedball Arena on Oculus store. With the addition of Custom Room feature, local multiplayer gameplay became possible and users visiting VR arcades can play together in a same virtual world." said Don Lim, VP of Business Development and Marketing at Reality Reflection.